Wednesday morning, just before 12:30am, the state of Georgia executed their first woman this century, Kelly Renee Gissendaner. 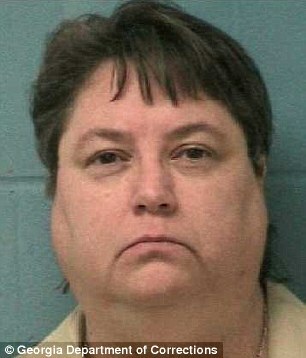 Eighteen years ago, Mrs. Gissendaner convinced her lover, Gregory Owen, to murder her husband, Douglas Gissendaner. Mr. Owen then turned state's witness and signed a plea bargain. He received life without parole in exchange for testifying against Mrs. Gissendaner. 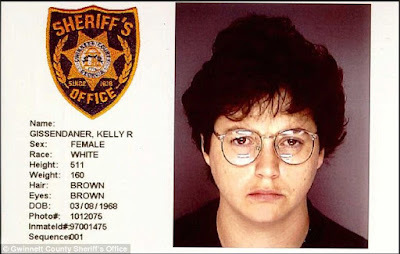 Now, we know that Kelly Gissendaner is guilty as charged. She has since admitted her actions and apologized for her behavior. There is no question about that. But I still wonder, is execution the right answer? What do we as a society gain from her execution? Supposedly, punishments such as imprisonment and execution act as deterrents, convincing people that it's better not to commit a crime. Yet time and time again, studies show that these punishments do not act as deterrents at all. Why? Because most people don't think that they will get caught. If they thought that they would get caught, they either wouldn't do the crime or (more likely) change their plans so as not to get caught. That begs the question - what is the purpose of executions? Morally, killing another person is wrong. It doesn't really matter if it's Kelly Gissendaner killing her husband or the state killing Kelly Gissendaner. Killing is still wrong. Legally, there is no reason to execute people. Executions don't act as deterrents. Financially, executions cost between 2 and 10 times more that life without parole, even if the person lives decades longer in prison. So why then do we still execute people? The Gissendaners had three children, who now are orphans. Douglas Gissendaner's remaining family has been hurt as well. Still screaming for revenge, the Gissendaners have been unable to accept his death and properly grieve for 18 years due to the looming execution. Whoever performed the execution now has the blood of a woman on his or her hands, regardless of the legality of the action. Many Western countries have done away with the death penalty as their society have grown more mature and realized the futility of the punishment. When will we, in the United States, realize that, too?